K and I love going apple picking in the fall. When we first started dating, we used to love taking trips up north in Upstate New York. We’d go apple picking, then head on over to the store and talk over a couple warm apple cider donuts and some s’mores ice cream. It was the best way for us to take a break from schoolwork and just enjoy each other’s company. So it’s no surprise that we still find the time every fall to grab ourselves some fresh apples. But as most of you know, you usually come home with about 30 apples. aka too many apples! 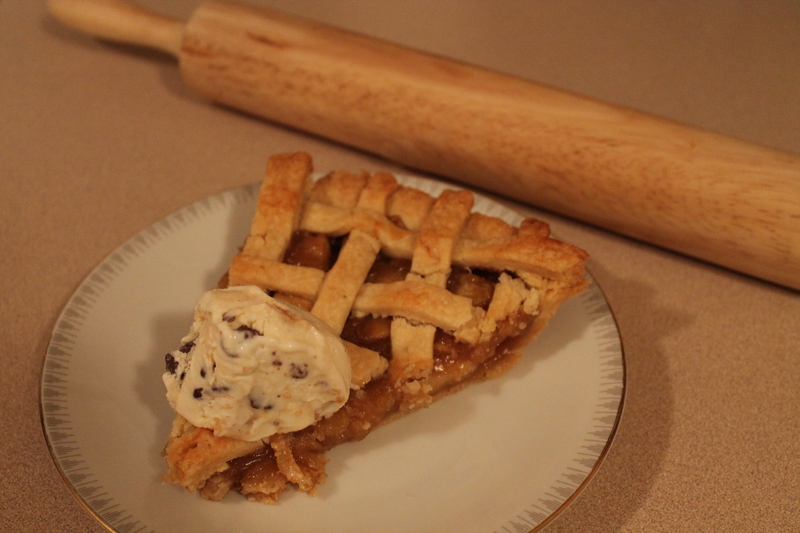 That’s why this apple pie is exactly what to make when you have way too many apples left over. 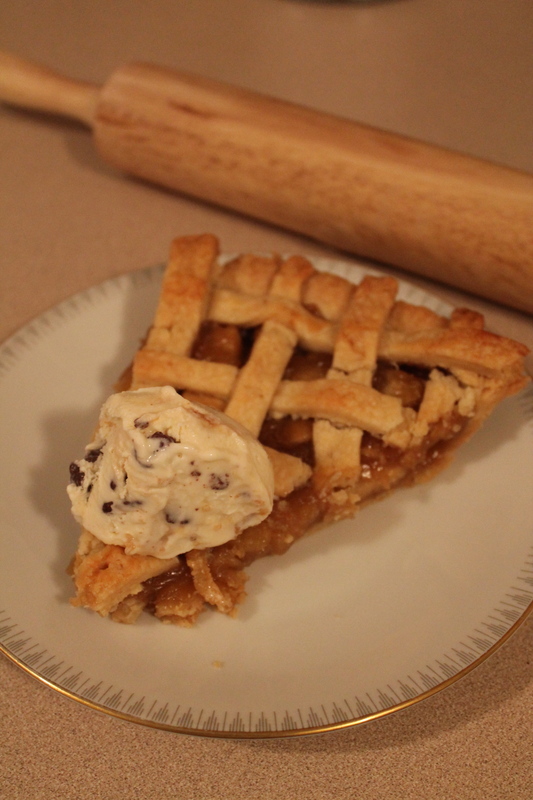 Not only is the apple filling easy to make, the pie crust is super simple as well. But, if you prefer, you can always use store-bought crust as well! Using a rolling pin, roll the dough to a thickness of about 1/4″ and place inside your pie dish, leaving a small overhang. Chill in the refrigerator until the filling is ready. In a large bowl, combine the brown sugar, sugar, flour, cinnamon, nutmeg, and salt. Add the apples and mix well. Add the vanilla and milk. In a large skillet, melt the butter at medium heat. Once melted, add the apple mixture and cook for about 6-8 minutes, or until the apples are soft and the sugar-flour mixture has turned a golden brown color. Pour the filling into the pie crust dish. Cover with a lattice top, if you want to! Brush the lattice top and the edges with a little bit more milk. Back at 450 F for 15 minutes. Reduce the heat to 350 F, and bake for 45 minutes more. At this point, the crust should be golden and the filling should be bubbling. Combine the flour, salt, and sugar in a food processor. Add the butter and pulse for another 10 seconds. With the processor (or hand mixer) still running, add the water just until the dough comes together. This should only take about 15 seconds. Remove the dough from the food processor and shape into two discs. Cover the discs in plastic wrap and keep in the refrigerator until they are ready to be used.